Alipay users who spend 800RMB get 60RMB back. Must scan QR code in-app to redeem. Disclaimer: Pre-taxed amount must be equivalent or greater than 800RMB. 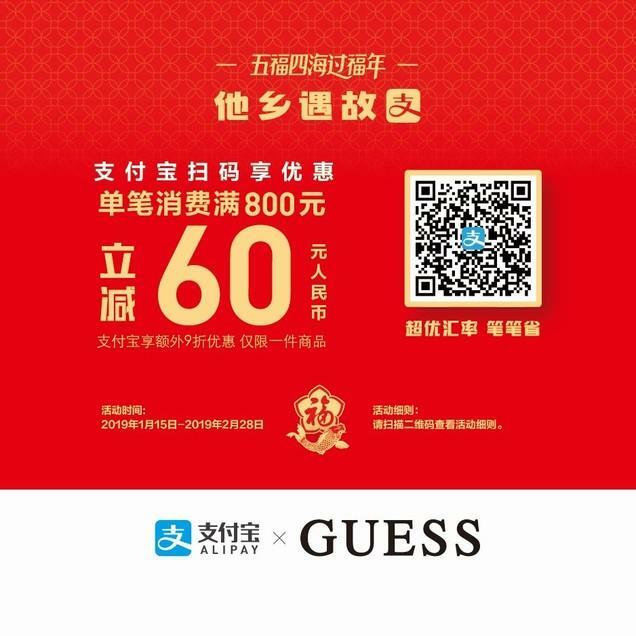 Must scan QR code to redeem promotion in the Alipay Application.